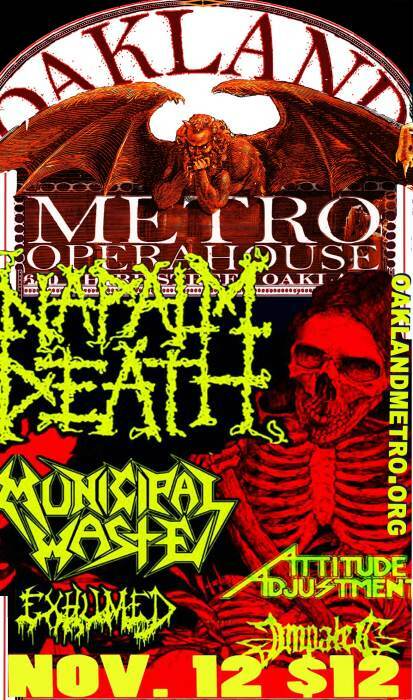 To all Thrash/Punk/Metal Heads in the Bay Area, Napalm Death will be teaming up with Municipal Waste to launch a co-headlining North American tour this fall. Napalm Death will be touring in support of their most recent album, Utilitarian, which was released this past February. Municipal Waste is also fresh off of an April release of the album, The Fatal Feast.